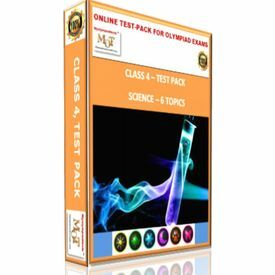 This "online test combo" offers "topic wise online tests" from MOT and "Online Mock tests" from Olympiadhelper. You can attempt each test upto 3 times. 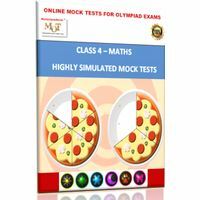 This "online test combo" offers "topic wise online tests" from MOT and "Online Mock tests" from Olympiadhelper. From Olympiadhelper: 1. 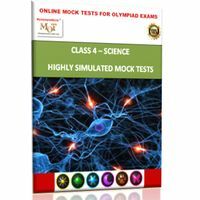 3 Online Mock Tests 35+ questions in each set After each test get your percentile score to know where you stand in crowd 2. 20 Online Sample Tests 30 questions in each set Option to reappear in the sample test again and again(with 1 week gap) 3. All sets will have question from Section - I (Mental Ability) Section - II (Science) From MyOlympiadtests ( Topic wise) In this online test series, there will be 20 - 30 questions in each of the following topics 1. Class 4 - Plants (2 tests, Part 1 - Part 2) 2. Class 4 - Animals (1test) 3. Class 4 - Earth & Universe (1 test) 4. Class 4 - Human body & food (1 tests) 5. Class 4 - Water (1 test) 6. Class 4 - Transport & Communication (1 test) 7. Class 4 - Housing & Occupation (1 test) 8. Class 4 - Materials (1 test) You can attempt each test upto 3 times. Free BMA's "Reasoning trainer Plus"